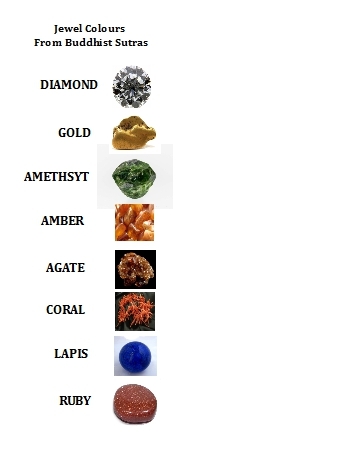 As we study sutras, like the Visualization Sutra, we run across references to colours and jewels from which they derive. Below is a quick reference guide to assist your study. If you look at your copy of the Mandala, you will see the predominance of the orange-gold colours, but the presence of the whole range too. a thousand rays of light, each ray in turn having eighty-four thousand colors. so dazzling that it is impossible to see them in detail. 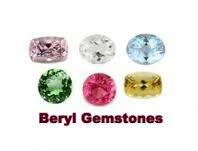 Lastly, we include beryl, which has a wide variety of natural colour versions.